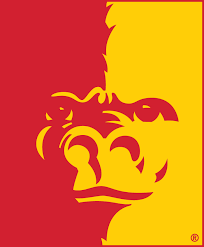 Pittsburg State University seeks a faculty member in Clinical Psychology committed to high-quality teaching for a full-time, tenure-earning position in the Department of Psychology and Counseling (http://www.pittstate.edu/college/education/psychology/index.dot). Position begins on August 13, 2018, and will include undergraduate and graduate teaching, advising, and supervision. The successful candidate will primarily teach coursework at the master’s level. Specific courses will depend on areas of expertise and/or experience but may include: Psychopathology, Evidence-Based Interventions, Assessment, Psychopharmacology, and/or other courses as assigned. Scholarly activity in the area of clinical psychology is desirable and service to the department, college, and university are required. The candidate filling the position will be part of the M.S. Clinical Psychology program. College teaching experience and a demonstrated commitment to clinical psychology through clinical practice and/or research are preferred. Candidates must also be supportive of master’s level practitioners in underserved areas. A Ph.D. in Clinical Psychology or Counseling Psychology from an APA-Accredited program is required to be eligible for tenure, although applicants who are ABD will be considered. Candidates must be licensed or license-eligible in the State of Kansas. The Department of Psychology and Counseling serves nearly 300 undergraduate majors and 120 graduate students (including: general, clinical, and school psychology; and school counseling). Excellence in teaching is emphasized in the department. PSU is a comprehensive regional university with an enrollment of 7,200 and is located in the city of Pittsburg, Kansas (approximate population 20,000; http://pittsburgareachamber.com/). For a full description and to apply online visit http://pittstate.edu/office/hr/jobs.dot. Electronic submission only. Submit application letter, vita, graduate and undergraduate transcripts, as well as names, addresses, and phone numbers of three professional references and evidence of teaching effectiveness to the attention of Dr. Jan Smith, Chair, Clinical Psychology Search Committee. A criminal background check is required prior to employment. First review of applications will begin on October 13, 2017 and continue until the position is filled. Position is contingent upon funding. PSU is an Equal Opportunity/Affirmative Action Employer, committed to diversifying its professional community.